Ready and waiting - for YOU! 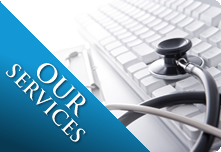 Progressive Home Health Care considers it an honor to be serving you with your home health care needs. We understand that your needs may be unique and the care professional or therapist you would like to be assigned at home has to be efficient in meeting your expectations. You can trust in Progressive Home Health Care to be there for you.